This article – Recipes for Good Health – was originally written for and published in the American Academy of Health and Fitness’ Gamut of Life. As personal trainers, we work hard to gain the trust of our clients with the fitness programs we create, but our responsibility expands further into their lives. Good nutrition is an integral component of a healthy lifestyle and helping our clients make smart eating choices is part of our charter. At no time should we misrepresent ourselves as nutritionists if we are not, however, we can still effect positive changes. It can start by simply explaining that eating healthy doesn’t have to mean that one is subjected to eating bland food or food that is not appetizing. Many people mistakenly believe they must strictly follow the traditional bodybuilder’s nutrition plan – chicken, turkey, tuna and fish, complex carbohydrates including sweet potatoes and brown rice, non-starchy vegetables such as broccoli and spinach, limited fruit and small amounts of fats. When in reality, adhering to a healthier diet can be made easier by modifying recipes already enjoyed. At first, the trial and error of ingredient substitutions may produce a few dishes that aren’t the best taste or have a texture that frankly isn’t appealing. When new to experimenting with recipes, make only one change at a time so it can be decided if it is a “keeper.” Also, write down the ingredient and the amount used so the “success” can be easily recreated and “failures” not repeated. Based on our knowledge of a client’s personality and of the openness to change, we may want to encourage the client not to go overboard and buy all suggested new foods without trying them one or two at a time. Initially throwing away all of the “bad” foods isn’t the answer either because if substitutes aren’t appealing, the alternative may be driving to the nearest fast food restaurant. Habits take time to create and jumping in with both feet isn’t always the best. Grill, roast, or bake meat and fish instead of frying. Cook in nonstick pans instead of using oil. To add flavor, use herbs and spices instead of butter or salt. Lemon juice is another option. Use low fat dairy products – cheese, yogurt, milk, sour cream. Examples are Neufchatel cheese instead of cream cheese, low fat yogurt or nonfat yogurt or even a combination of them, skim milk, and lite sour cream. Use lite mayonnaise and only sparingly. Serve brown rice and whole wheat pasta in place of white counterparts. Grate low fat cheese instead of using cubes. You can achieve the same flavor with less. Replace eggs with egg beaters or egg whites. Use whole wheat flour, oats, or oat flour instead of white flour. Substitute evaporated milk for heavy cream. Replace ground beef with ground turkey. When eating salads, serve the dressing on the side and dip the fork into it instead of pouring the dressing on. Use natural applesauce in place of oil or butter in a one-to-one ratio. Substitute all or a portion of chocolate with dark chocolate cocoa. Reduce the amount of dried fruit or replace with chopped almonds or walnuts. Use a sugar substitute. There are many to choose from and clients should find one that they are comfortable with. I prefer Stevia or light agave syrup. For Stevia, 2 tablespoons is the equivalent of 1 cup of sugar. If they try the agave syrup, ¾ cup is the same as 1 cup of sugar. Also lower the oven temperature by 25°F and reduce other liquids by about 1/3. This really isn’t difficult when the desired consistency of what is being baked.is known; whether it’s cookies, cake, or bread. Substitute whole milk for heavy cream. Add a teaspoon of vanilla, almond, or another extract for extra flavor. There are also flavored sugar free syrups, such as maple, banana, chocolate, and peanut butter which can be used. Replace eggs with egg whites. Use low fat dairy products – cheese, yogurt, milk, sour cream. Replace evaporated milk with evaporated skim milk. Substitute natural peanut butter for processed peanut butter or peanut spread. If a client is resistant to some of these changes, encourage him/her to take small steps every day or at least throughout the week. For instance, if your client insists that he/she must use sugar when baking, the amount can usually be decreased by about 25% – i.e. from 1 cup to ¾ cup – without changing the taste or texture. And similarly, if butter or oil is a necessity, the amount can be lessened by about 50% without changing the taste. Just like with the client’s fitness program, setting goals and providing accountability are two keys to success. 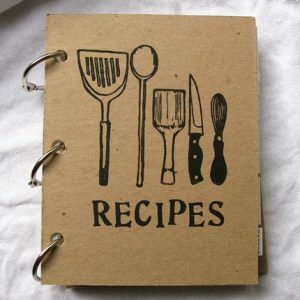 Ask the client to commit to including a recipe substitution in at least one favorite recipe in the coming week. Make this a part of your conversation during your next training session and also ask what the client’s plans are for that week. Before it is realized, your client will be reaching new heights with both fitness and nutrition! Transformation Challenge Success – Linda C.